Dragons L-R: Nina Dauban, Melanie Currie, Beverley Parr, Martin Collins, David Marlow, Kevin Shakesheff. 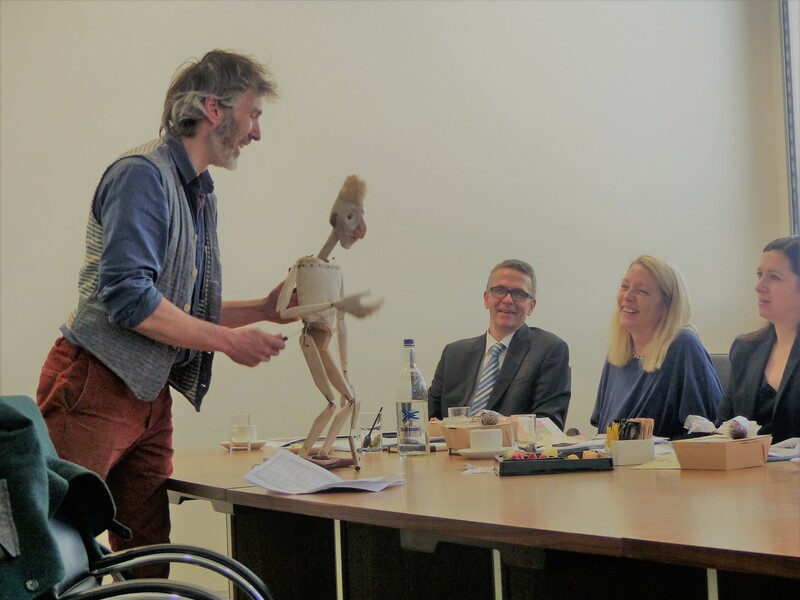 Nottinghamshire Community Foundation recently ran their 11th Dragons Den event at Nottingham Trent Business School, offering a Grant of up to £3000 to help businesses along the road to success. East Midlands Business Link were fortunate enough to be invited to the event. When asked how the Den came to be Nina Dauban, Chief Executive of Nottinghamshire Community Foundation, said: “We have been regularly funding local charities for years. The den came out of a realisation that helping the local community meant helping not just charities but the businesses too. Supporting new start ups is therefore important to us as a charity that reaches into the heart of the community. “While at Nottingham’s universities there is a lot of help for student entrepreneurs, we realised that we have a unique position, because of our reach into grassroot communities, where we can access those without higher education to become the next Mark Zuckerberg or Richard Branson. 15 entrepreneurs from the area applied and 8 were then invited to pitch to the Dragons. The panel consisted of Nina Dauban, Chief Executive at Nottingham Community Foundation, Melanie Currie, Deputy Dean at Nottingham Business School Beverley Parr, Owner of B & J Parr, Martin Collins, CEO BFS (UK)Ltd, David Marlow, CEO of Nottingham Building Society, Kevin Shakesheff, Pro-Vice Chancellor of the Faculty of Science at University of Nottingham. Martin Sommerville of By Our Hands. The entrepreneurs pitching included Oyinkansola Adebayo with Niyo Enterprise, a socio-creative organisation using creative tools to economically empower young BAME women to create sustainable social enterprises. Next, Beverly Cowling discussed her website After School Kid, which collates and offers reviews from parents for children’s leisure activities, Beverly was looking for funding to help her advertise and improve the site’s SEO ranking. Jordana Chin, owner of Nutri2Go, an eco-friendly healthy food delivery service, also pitched, ready to expand her business further. Alex Plant of Plant Pedal Power was pitching his bespoke cargo bikes for heavy loads for business and family use. Aleksandra Czerwiakowska pitching to the Dragons. Aleksandra Czerwiakowska pitched her personalised healthy breakfast service Cereal Master, with a need for a freeze dryer. Martin Sommerville of By Our Hands, a therapeuticand educational art centre working with materials from wood to paint, pitched for funding for a disabled access toilet. Emma Eaton-Night pitched the “next big children’s icon” Hogie the Highland Cow, looking for funding to help with her inclusive children’s books, with hopes to take it further with a TV show and merchandise. And finally Olivia Swift, owner of Lotus Maternity, brought in her range of stylish nursing tops which allow women to comfortably breastfeed in public, and wanted help with digital marketing. 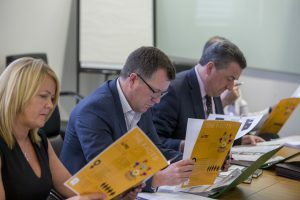 The day certainly presented a wide range of businesses ready to take flight, leaving a tough decision for the dragons. 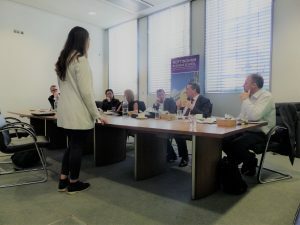 The winners of the Den were Jordana Chin with her business Nutri2Go, delivering healthy and nutritious meals around the city, Olivia Swift making maternity wear for her business Lotus Maternity Ltd and Aleksandra Czerwiakowska with her business Cereal Master. Nottinghamshire Community Foundation is a local registered charity delivering grant schemes on a not for profit basis and has given over £25 million away since beginning. If your interested in being a Dragon or angel at the next den contact Nina Dauban (nina@nottscf.org.uk), or if you would like to apply next year keep an eye on the Nottinghamshire Community Foundation website.